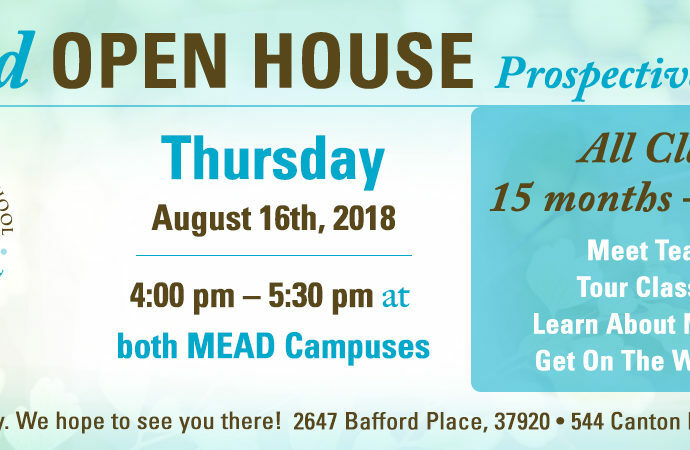 Mead Montessori School is a private school serving children ages 15 months to 15 years (preschool, pre-K, Kindergarten, Elementary grades 1-5, Middle School grades 6-8). We are the only AMI-certified Montessori school in Knoxville. Open House for Prospective Families – Everyone is welcome! Mead Montessori School seeks to create and sustain an optimum Montessori educational environment to enable each child to realize his or her richest potential for learning and to become an independent, self-motivated and contributing member of the world community.